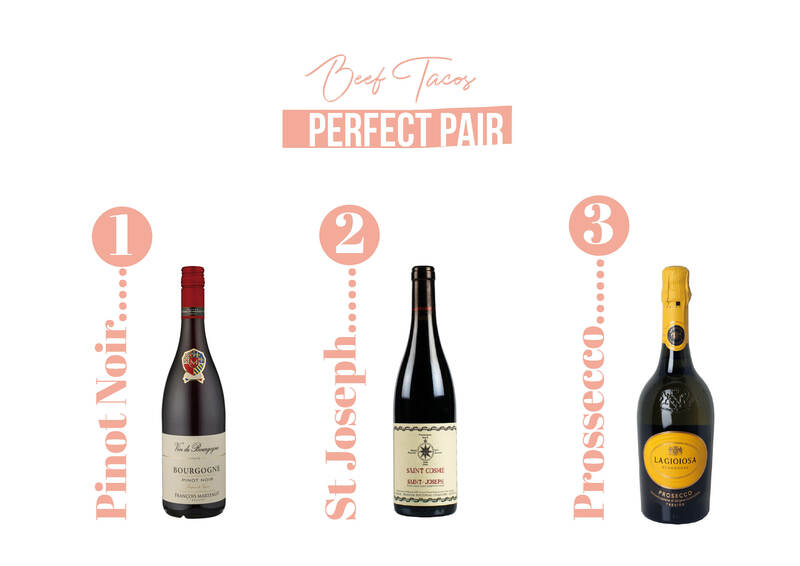 We know you love learning about food and wine pairings so we decided to create the Perfect Pair Series. The concept is simple: every month, we will choose a featured cuisine and our Sommelier will share his wisdom about how to pair it. Wine pairing is often associated with a fancy dinner, but it doesn’t have to be. Miami is a very multi-cultural city and we want to make sure you pick the right wine to go with whatever cuisine you are eating that day. For the first episode, we chose Mexican Cuisine and we will be focusing on Tacos. So get your notepad and a pen and take notes for your next Taco Tuesday! Mexican food is actually a little tricky to pair. This is why you will see many people going for a Cervecita or a Margarita. This is great but what if you want to enjoy your tacos with a glass of wine? Well it is definitely possible and don’t let anyone tell you otherwise. Here is the way to go if you want to reward your palate and try pairing your Mexican dish with a glass of wine. 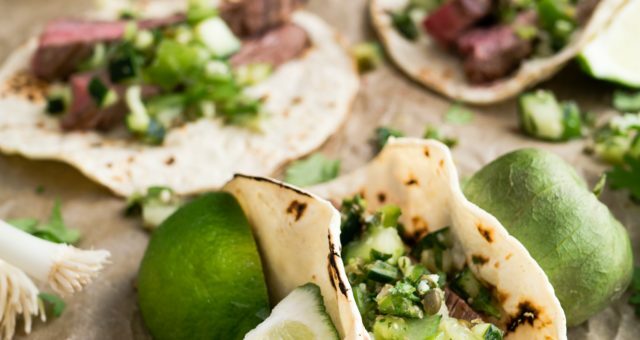 This might sound strange, but wines are your tacos major amigos! For fish tacos, try a Riesling, Sauvignon Blanc, Pinot Grigio or if you want to get fancy, go for a white Sancerre. What if we want to have a mix of all the above tacos? Well in this case the basics must be adopted: focus on wines with high acidity and low tannins, that will pair well with all three. Prosecco Giogiosa is crisp and will pair very well. A white Sauvignon Blanc for white lovers and a Pinot noir for red enthusiasts. 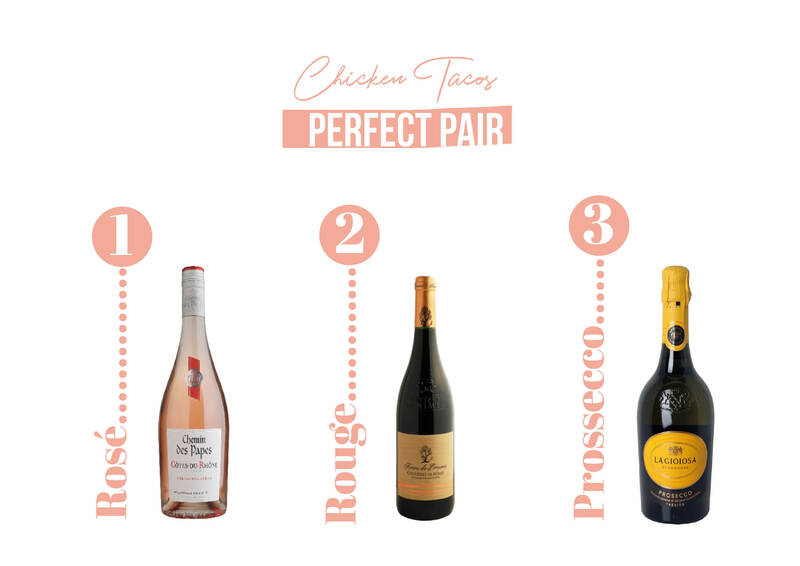 Let us know if you try any of these pairings at home! And make sure to let us know in the comments below (or on Instagram or Facebook), which cuisine you would like our Sommelier to give you pairing tips on for next month’s article.